Take one bowl, add butter, salt, oregano, garlic powder and mix well. Take one bread, apply butter mixture. Arrange tomato slices, cucumber slices, potato slices over bread. 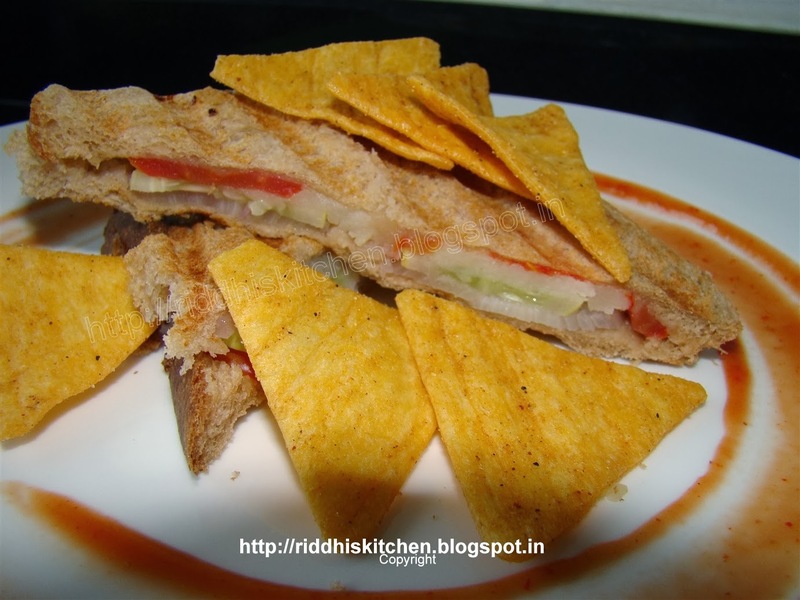 Take another bread slice, apply butter mixture and put over potato slices and make sandwich. Grill for 5 to 7 minutes or till done. Do same process with remaining breads. Serve with tomato catch up and chips. Tip : you can also use fresh garlic paste instead of garlic powder.